Baumr-AG continues to deliver innovative gardening tools with the NEW E-Force 400 Lithium Pole Chainsaw. Powered by a 40V 3Ah Samsung lithium battery, this cordless tool brings the power and longevity you need to tame the outdoors without the fumes. Baumr-AG has utilised a genuine OREGON® 10” chain and bar to provide unrestricted quality, so you can cut in total confidence. Furthermore, its auto-oil-lubrication function prevents the chainsaw from running dry, and the lithium-ion battery features a convenient charge indicator that lets you know when you need to re-charge. The super-durable yet lightweight aluminium shafts with rubber and soft grip handles are hugely beneficial features when you’re negotiating tricky plants and branches. This ergonomic and lightweight design coupled with a handy shoulder strap allows you to work for long periods of time with little fatigue. One of the greatest attributes of this pole chainsaw is its BONUS extension pole that extends it to 2.7m. This provides the average person with a mammoth 3.5m reach, which will help you get to those challenging branches. 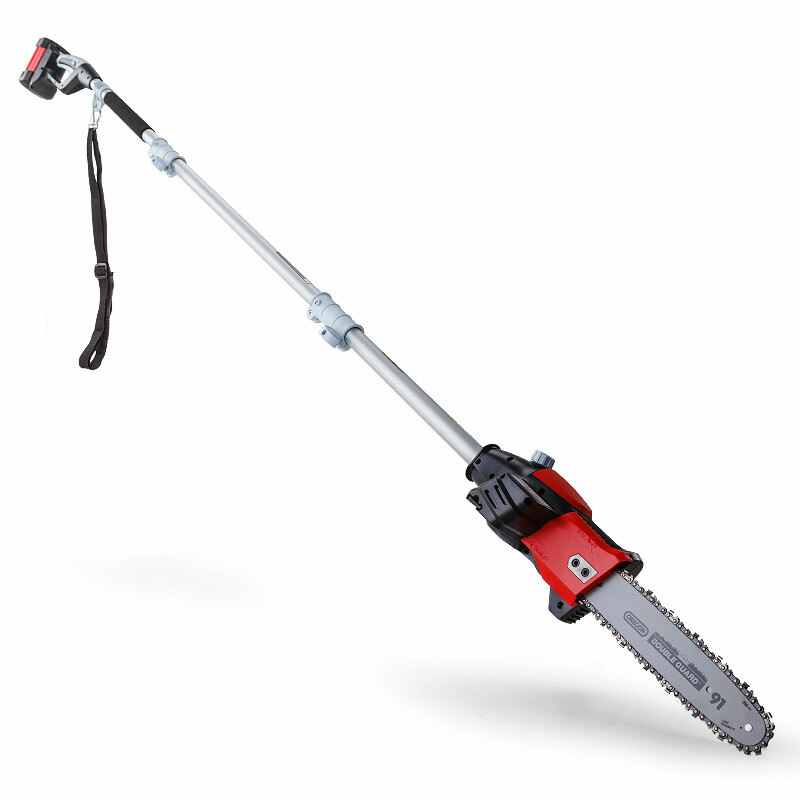 The NEW Baumr-AG E-Force 400 Lithium Pole Chainsaw provides the economic and practical way to do gardening. So don’t delay - order your very own today!